The state of Texas is home to one of the most electrifying playing in all of the country. 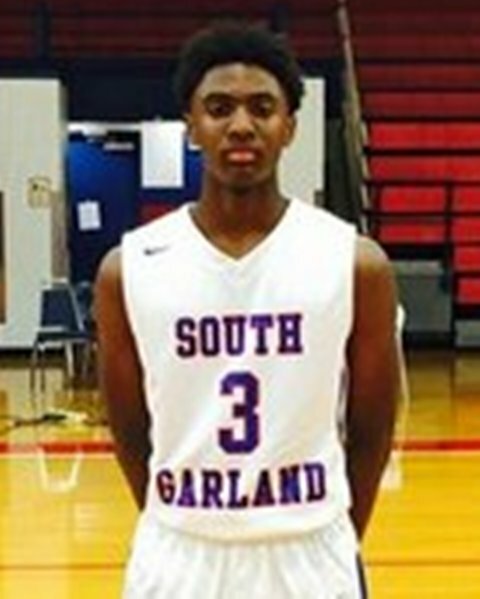 2019 G Tyrese Maxey of South Garland High School in Garland Texas, is as good as you will find in a basketball player. His exceptional skill set, and his ability to dominate the game on both ends of the floor are just a few things that make him stand out. The biggest thing that many people notice though is that he does it all while making it look easy. Standing at 6’3 and 185 pounds, he can overpower point guards that challenge. His speed and athleticism make it almost impossible to guard him in the open floor, and it is there where many of his highlights takes place. His court vision is exceptional as he can see plays before they fully develop, as well as making his teammates better on the floor. He is a true PG who does not turn the ball over or make mistakes that are costly down the stretch. He seems to always make the right plays at the right time. He can blow opponents at will with his speed and ball handling abilities, as well as get to the basket and finish with contact. He has worked steadily at being a more consistent shooter from three-point range and this has shown over the course of the season. His defensive abilities are just as elite as his abilities on the offensive end. His tenacity and dedication on the defensive side of the ball allows him to shutdown opposing players as well as guard multiple positions. He is an excellent rebounder for his size, as well as a shot blocker. He is constantly in the passing lanes creating deflections as well as getting steals that lead to his many highlights throughout the course of a game. This dominate play so far this season has made Maxey the number one recruiting target for no other than Coach Calipari at Kentucky, as well as a host of others. Last summer in the travel circuit Maxey became a household name in the EYBL where his play was exceptional enough to land him offers from Michigan State, SMU, Arizona State, Baylor, California, Florida State, Georgia Tech, LSU, Marquette, Oklahoma, Oklahoma State, Stanford, TCU, Texas, Texas Tech, UCLA, UNLV, and West Virginia. Recently there has been a big push of interest from Kansas, Oregon, Texas A&M, and Michigan. This travel season should only be one that adds to this already stacked list of school for Maxey with his continued hard work and dedication on the court.